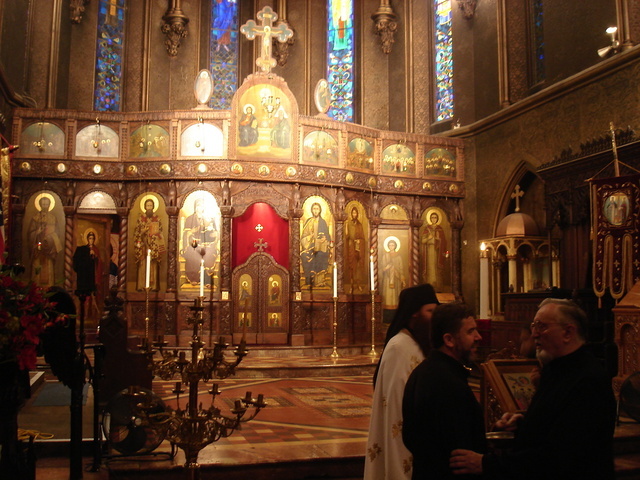 New York City, NY - The Serbian Orthodox Clergy Brotherhood of North and South America convened for the Annual Assembly at St. Sava Serbian Orthodox Cathedral in New York City on Monday evening June 9 and Tuesday, June 10, 2008. Brotherhood President and Dean of St Sava Cathedral, Protopresbyter Djokan Majstorovic welcomed the brothers-in-Christ in attendance. The priests and deacons came from far corners of the United States and included clergy with experience in South America. 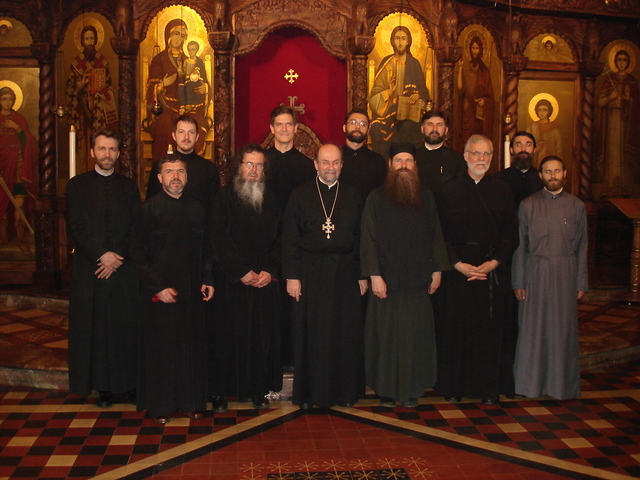 The clergy in attendance were from the Dioceses of the Midwest Metropolitanate, Eastern America, Western America and New Gracanica. 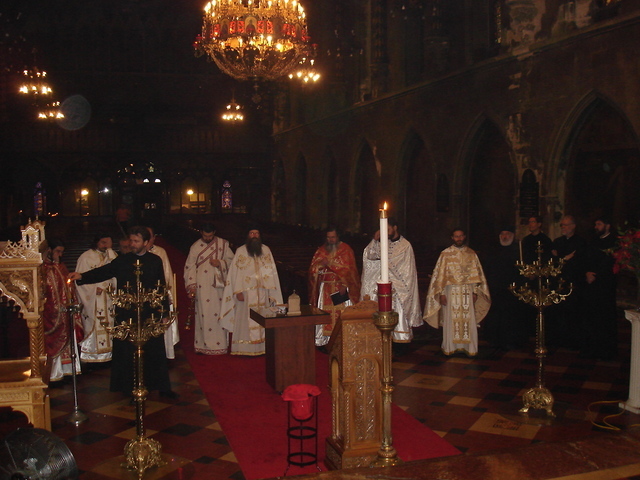 Abbott Gerasim, Protopresbyter Stavrofor Predrag Micic, Protopresbyter Stavrofor Rastko Trbuhovich, Protopresbyter Stavrofor Toma Stojsich, Protopresbyter Dr. Rodney Torbic, Protopresbyter Aleksandar Vlajkovic, Protopresbyter Ivan Marjanovic, Protonamesnik Zivojin Jakoljevic, Father Ljubisa Brnjos, Father Dragan Zaric, Father Zoran Radovic, Father Srdjan Veselinovich, Father Vladislav, Father Norman Kosanovich, Father Michael Boyle, Father Deacon Damjan Bozic, and Father Deacon Alex Pavichevich. The business portion of the Brotherhood Assembly was held on Monday evening. Protopresbyter Stavrofor Rastko was elected to preside at the Assembly. Father Srdjan Veselinovich was elected to be Secretary for the Assembly. President Prota Masjtorovic reported on the work of the Brotherhood during past year. His report included emphasis on efforts made to involve all the clergy in the work of the Brotherhood as stewards and as brothers. Prota Majstorovic spoke of the Brotherhood's concern for clergy widows, for clergy experiencing difficulty getting the proper United States government approvals necessary to work in the parish and to care for their families. He spoke of the Brotherhood's concern shown to families of clergy departed this life. 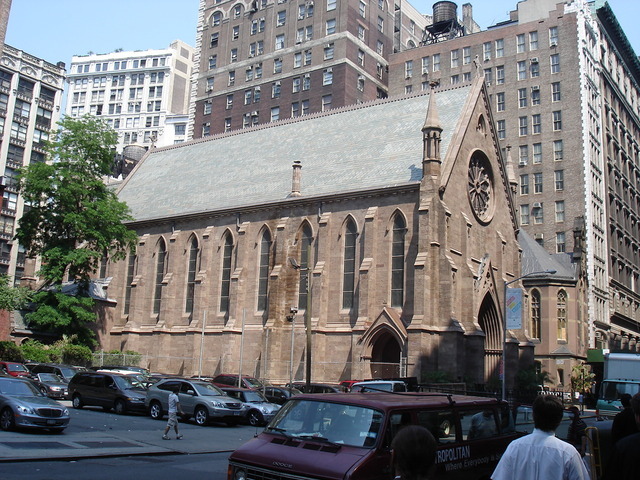 Requests from clergy seeking financial aid for studies also received attention as did attention shown clergy at the time of ordination and retirement. Father Deacon Damjan Bozic presented the financial report and calendar report. Deacon Damjan, Protopresbyter Djuro Krosnjar and Father Darko Spasojevic are Editors for the calendar. Comments regarding the 2008 were all very favorable and the Editors commended for their work. 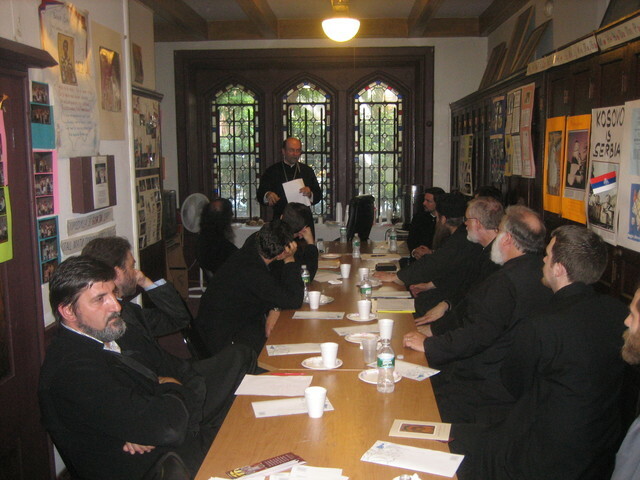 Deacon Damjan reviewed the various steps necessary to prepare the calendar for preparation each year. The Audit report submitted indicated the Brotherhood financial records were in proper order. The Pension Plan report prepared by Protopresbyter Stavrofor Dragjoljub Malich was distributed. Prota Malich was recognized for the hard work he puts into Brotherhood pension interests. 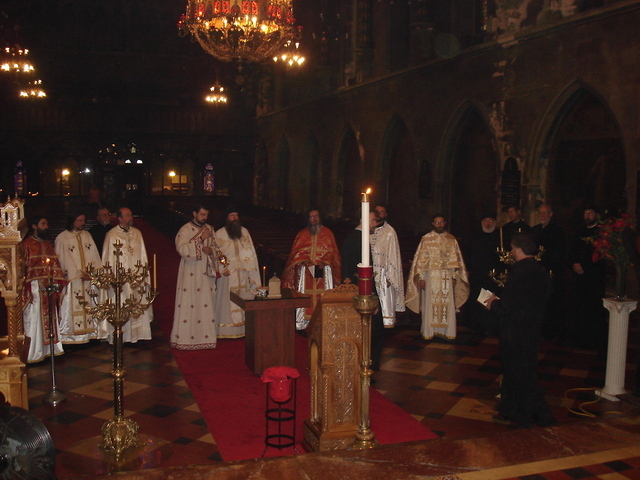 Father Vladislav Radujkovic, the new second priest at St.Sava's Cathedral in New York was introduced as was Father Deacon Alex Pavichevich, a recent graduate of St.Vladimir's Seminary who will be going to Serbia for additional studies this summer. Prota Aleksandar Vlajkovich was chosen to chair a committee to produce informational pamphlets of practical value for parish use. The pamphlets will be made readily available to Brotherhood clergy to assist in keeping parishioners and prospective parishioners informed of necessary information steps leading to Orthodox growth. 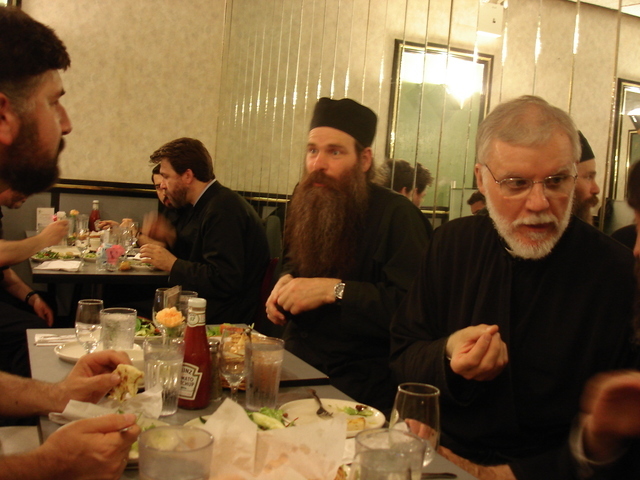 At the request of Protopresbyter Alexandar Bugarin of Kansas City, the Brotherhood decided to include historical accounts about clergy serving the Serbian Orthodox Church in the geographic areas served by the Brotherhood. The usefulness of Clergy Messenger, the newsletter of the Brotherhood was recognized. The Clergy Messenger has been prepared and distributed through the efforts of Father Milovan Katanic, Father Mile Subotic and Father Dragoljub Popovich. Father Djokan Majstorovic indicated he would be willing to assume responsibility for printing and distributing the Messenger as once done by Father Popovich as he is no longer available. On Tuesday, the Brotherhood assembled for the Divine Liturgy and parastos for departed members of the Brotherhood. Abbot Gerasim served with six additional priests and two deacons. Brother priests sang the responses. 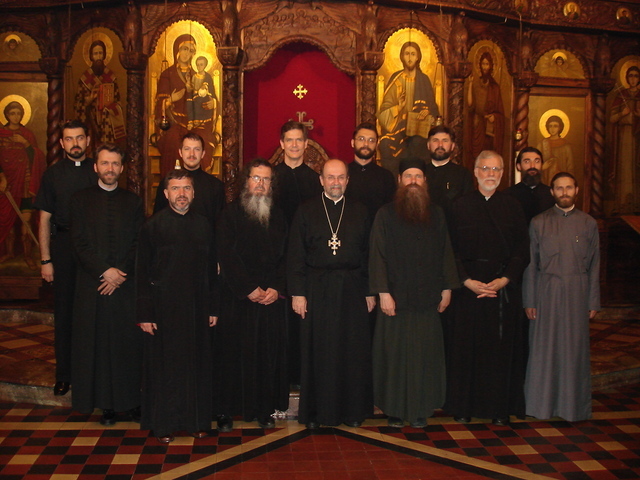 The new Chancellor at St. Vladimir's Orthodox Theological Seminary, Very Reverend Dr. Chad Hatfield was the designated speaker for the second day o f the Brotherhood's Assembly. His topic was "Revitalizing Our Priestly Ministry in A Post Christian Culture." Protopresbyter Hatfield spoke about the new curriculum at St.Vladimir's Seminary and the challenges of educating clergy. Bioethical issues are of primary concern. Technology and temptations are major issues. Chancellor Hatfield spoke about the ministry of presence, of raising the Cross in times of difficulty, of remembering wholeness and quiet, of holiness of life and Christ the Good Shepherd. Father Hatfield said beat-up wheat carries more protein than perfectly grown wheat. Difficult times can be times of greater nourishment for the soul. People want God in the priests. The clergy in attendance applauded Chancellor Hatfield for his talk and made extensive comments in addition to asking questions. In bringing the Assembly to a conclusion, the Brotherhood adopted a new budget and elected new officers for the forthcoming year. Executive Board and Audit Board serving during 2007-2008 were recognized and thanked for their contributions to the Brotherhood. 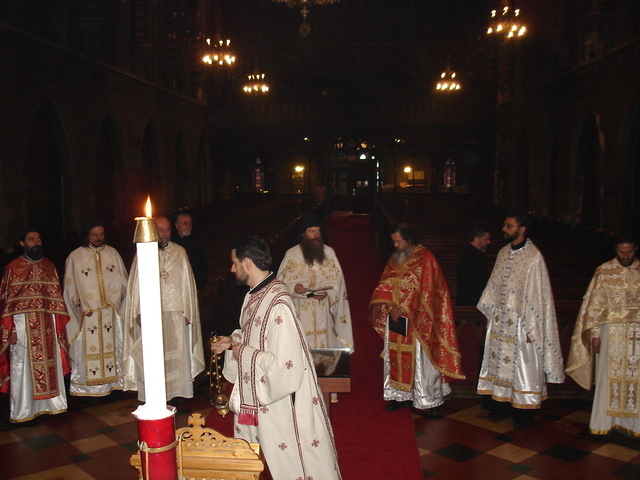 Brotherhood members in attendance were very well received at St. Sava Cathedral. Brotherhood President Prota Djokan Majstorvic took steps to ensure the Brotherhood experienced fine hospitality in all aspects of the Assembly from overnight accommodations to providing for three meals and meeting facilities. This was a very serious gathering of the Brotherhood intent on addressing issues facing priests at present and in the future.